Tame a Lion for your landscape at J.H. Wagner & Sons. 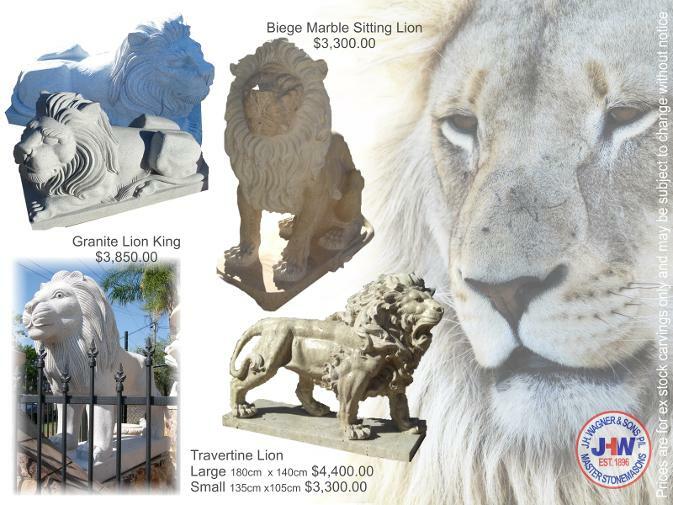 Our Lions are fully carved from one piece of marble or granite.